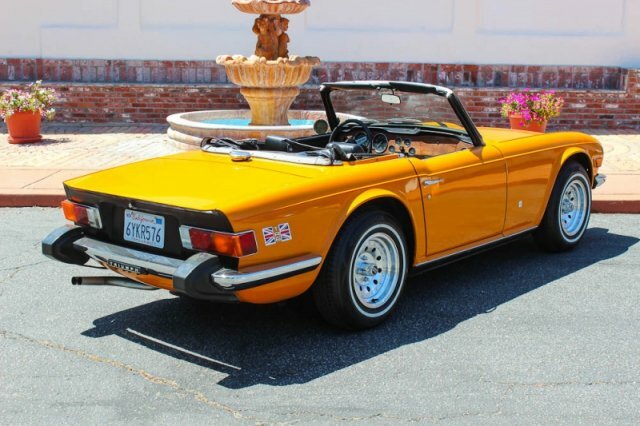 You are looking at a very nice, extremely solid Triumph TR6. This is an exceptional car, showing no rust or signs of previous body damage. 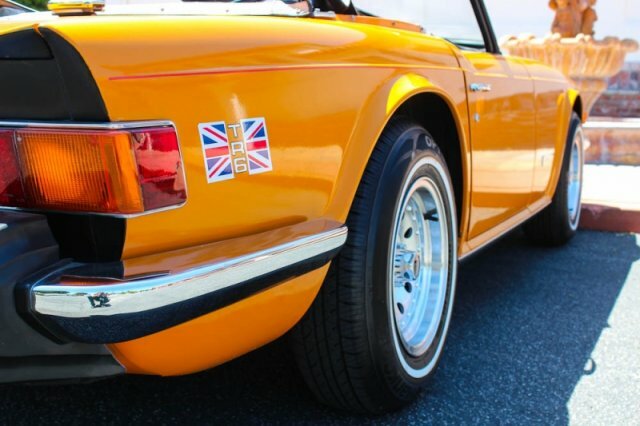 It's painted in its rare and original orange. The paint is newer and very nice, but not perfect. 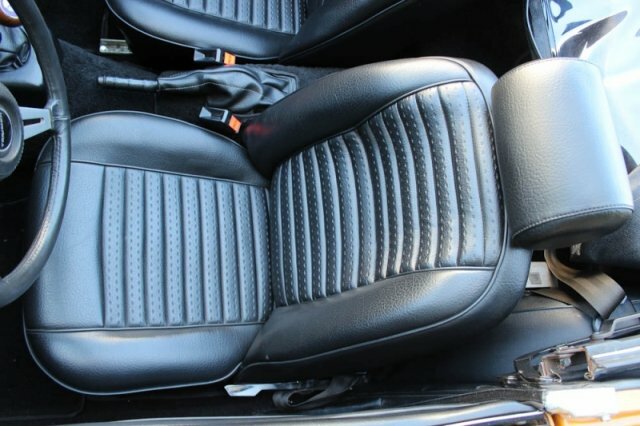 The upholstery is all new and very comfortable. The convertible top is also new. It runs and drives beautifully and does everything correctly. 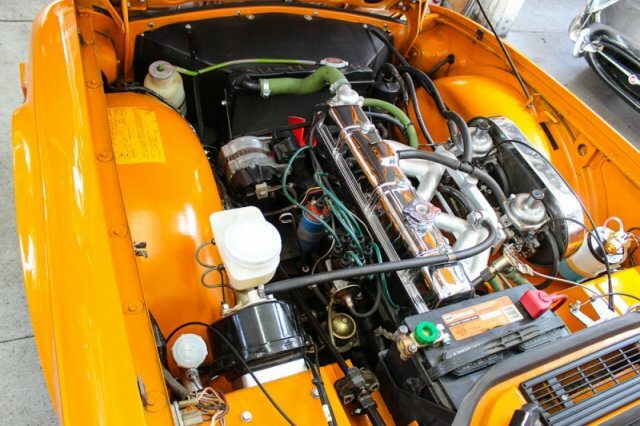 It's nicely detailed under the bonnet, perfect for showing off at a car show. 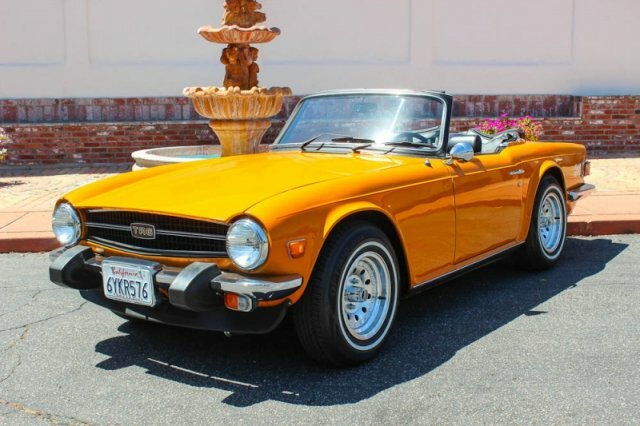 Good, solid, rust- and accident-free Triumphs are hard to find and this is a great example of one. Feel free to contact us with any questions you have.